Need some baby name inspiration? Look no further than the most popular sporting event on earth. It turns out that the most popular sporting event of the summer also features some pretty popular baby boy names. 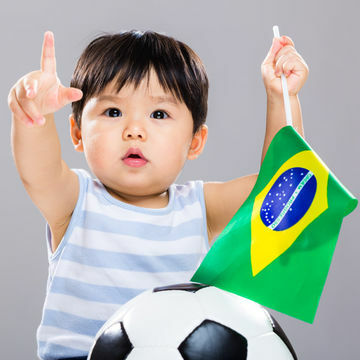 We compared the names of popular soccer players to the latest baby name data published by the Social Security Adminstration, and found that plenty of players have names that rose in popularity from 2012 to 2013. Here, the athletic baby boy names that are scoring major goals with new parents.